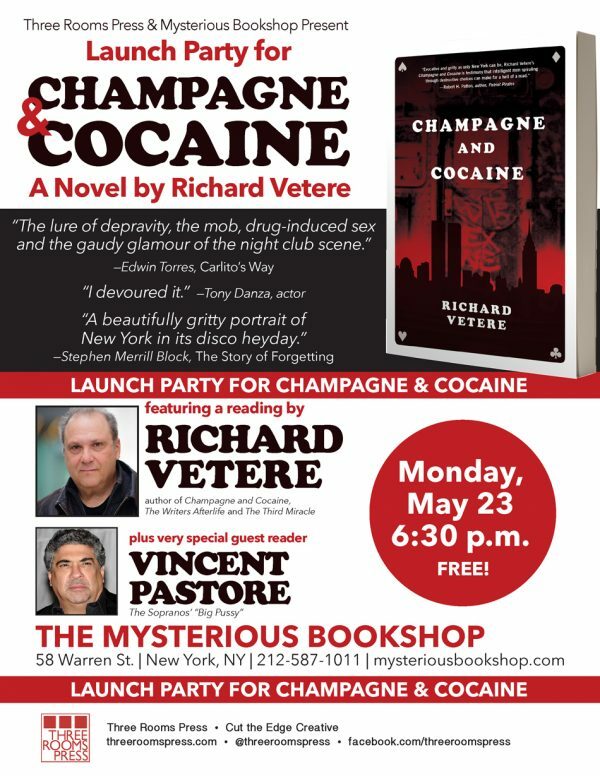 Join Three Rooms Press at Mysterious Books on Monday, May 23 as we celebrate the release of the 80s NYC thriller Champagne and Cocaine by Richard Vetere. The event is free and starts at 6:30. Vetere will read from the novel and share stories about what inspired.